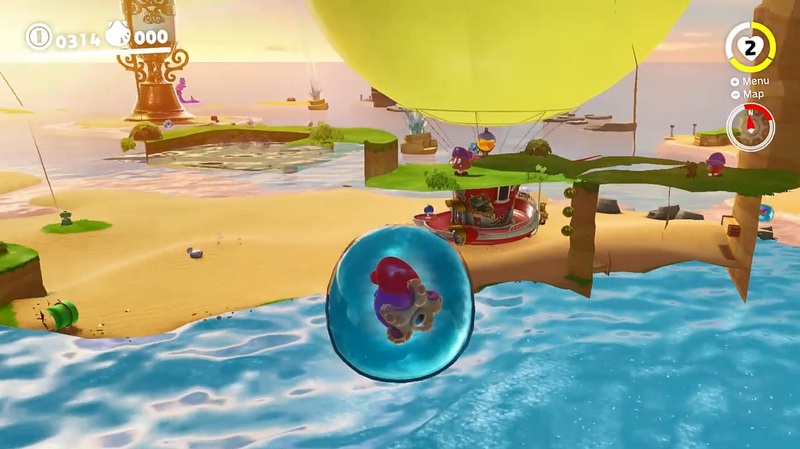 Given the sheer scope of the game, it was always inevitable glitches were going to be found in Super Mario Odyssey. After all, bugs are unavoidable in video games, with the more ambitious titles having the most by default. And well, every Mario, Zelda and Pokémon game in the last twenty years has been filled to the brim with interesting glitches to play around with it. So, it’s no surprise some interesting stuff would be found in Odyssey. But what is interesting is the sheer scope of these bugs. Why? 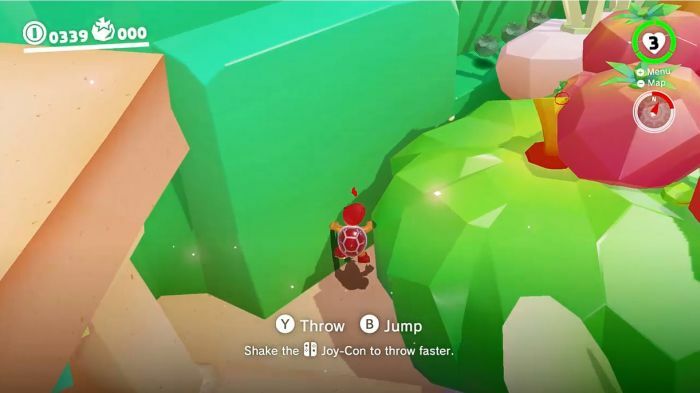 Because despite the game not being out for more than a few weeks, they’re not minor bugs that have Mario clipping a few pixels into a wall or the font getting screwed up. Nope, they’re full blown game world time crashes, massive out of bounds tricks and much more besides. There really is a ton of interesting stuff to see here. Hence if you’re interested… keep reading! Yeah, I know, you can technically Capture one anywhere in the level, but this is a lot more convenient given where the glitch takes place. And hop towards it. If you did it right, you’ll go straight through the wall and end up out of bounds. It really is that simple. However, simplicity comes at a cost, and this time the cost is that going out of bounds here isn’t actually all that useful. Yes, you can walk behind the shops and appear to be standing on thin air. Yes, you can get some nice pictures by having Mario appear to be behind the 8-bit volcano wall or what not. But as far as breaking missions go, no dice. You can’t get into the shop without the chef outfit, since the place has a back wall and the loading zone wouldn’t be active anyway. You can’t go too far back to reach other areas, since there’s actually an invisible wall right in the middle of this area for whatever reason. And if you decide to leave the Fire Bro’s body for whatever reason… well just enjoy seeing poor Mario plummet to his death. 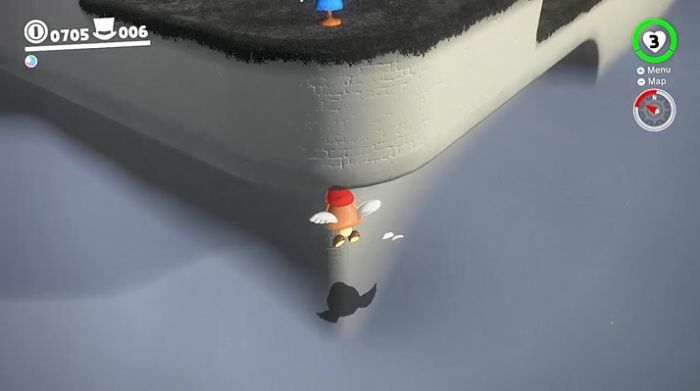 For whatever reason, the invisible ‘floor’ you stand on doesn’t seem to support Mario when he’s not in the form of an enemy, so a quick demise awaits anyone who tries to go exploring on their own. Which happens to be both a fair bit more annoying to pull off and a tad less limited at the same time. That’s because unlike the one in the Luncheon Kingdom, the Metro Kingdom/New Donk City out of bounds clip requires a precise angle to pull off, as well as the use of a moped found in the stage. As you can see, it’s a pretty limited area to run around in, with a few buildings to explore and the ability to collect a few well-placed items if you know what you’re doing. Again, like in the Luncheon Kingdom, you’re not gonna be using this to skip any missions here. It simply doesn’t allow for anything quite that interesting. But it does allow for you to see something you may not expect in New Donk City. Namely, a perfectly solid looking brick wall Mario can walk straight through. It’s pretty bizarre really, especially given how exactly one wall (which you’re never meant to interact with) just happens to be solid. Eh, maybe Nintendo had plans for that building in a beta version of the game or something. It wouldn’t be the first time they left unused objects and collision lying around in levels. Still, I’m sure you’re getting bored of the tiny areas to run around, so let’s look at a bug that’s a bit more… interesting in its possibilities. As well as so easy to pull off that it may actually be the easiest glitch in the entire game. Seriously, you can activate this one without even trying if you know where to go. And fly into it. If done ‘correctly’, you’ll fly straight through the wall and under the level. Once you’re in, well you can pretty much go anywhere you like to your heart’s content. Want to head behind a Cap Door early? Sure, go right ahead. Want to go underneath a shop and see if you can land next inside the hat stand? Sure, I guess. You can also land in the water underneath the plugged pond in the level. Not very useful, and you have to keep pressing the jump button (since Mario tries to sink down automatically), but it’s a neat extra. So, check it out if you’re interested. The possibilities here are almost endless! As you can see, they’re pretty damn extreme. 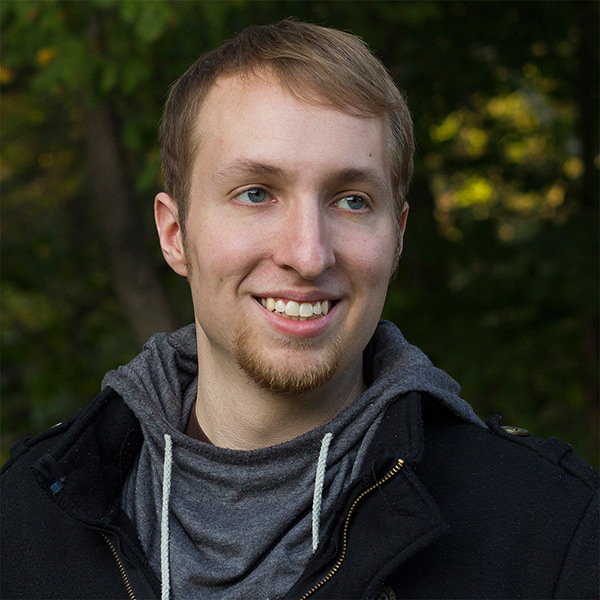 For starters, enemies now have no AI whatsoever, and do no interact in any way. This means Mario can just run around the area completely from enemy attacks or other forms of damage, at the expense of also being unable to hurt or Capture said enemies in the process. And the effects don’t stop there. Oh no, Cappy is gone too. Yes really. 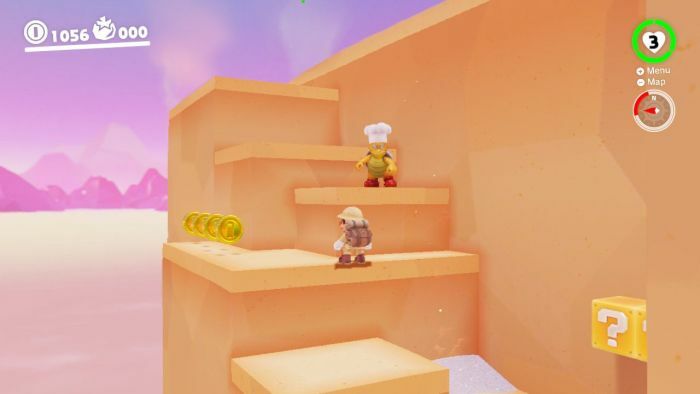 Mario now has no hat at all, as well as no way to ever throw a hat until he resets the game. It’s a… different look for the plumber, though one that proves to be rather useless in the greater scheme of things. As well as the pause button and all menus being disabled for good. This means that you have no way to save the game once the glitch kicks in, and will have to reset to the Home Menu to ever leave or restart the game. So, if you’re a bit bored (and want to see what it’d be like if Mario broke the fabric of time itself), give the glitch a go. It’s certainly an interesting thing to play around with! And that’s true of the next bug on the list as well. Why? Because thanks to some… questionable collision detection, Glydon can clip through quite a lot of things in Super Mario Odyssey. Like say, the cages holding Moons in places like the Lost Kingdom. Or a large percentage of the game’s corners in general. That’s pretty neat if you want to skip a few challenges to get a Power Moon more quickly, or just want to fly around inside of the Wooded Kingdom like a rebel. Again, definitely one to check out. Effect: Thanks to a poorly placed Gushen, Mario can somehow go through walls. All walls. But the best and possibly most interesting bug in Super Mario Odyssey isn’t any of those. It’s a little bug in the Seaside Kingdom we sometimes like to call ‘Gushen Clipping’. So, if said point is lower than the ground, then he spawns inside the ground. But that’s not all. You see, the spawn point is also offset by Mario’s location too, if Mario and the Gushen happen to be sharing the same bit of land when the latter respawns. Hence, by standing where it appears… Mario pushes the creature down even further, right into the floor. Then somehow, by then Capturing it in this state, the game thinks Mario isn’t interacting with anything and disables collision. Except for whatever reason, it does this across the whole level until you exit the creature’s body. Yeah, the logic behind this one quickly vanishes. But still, the results are interesting to say the least. You can easily get inside blocked off areas early, go past the cliffs into the small patch of sea beyond and generally get a very nice scenic tour of the kingdom… from outside its boundaries. 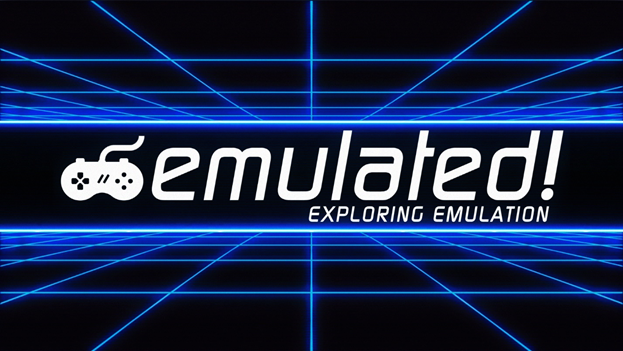 It’s a really lovely (and easy to pull off) bug with quite a lot of potential, and one that you should definitely try out if you’ve got a moment. And hence that concludes our list list. It’s obviously not perfect (since Super Mario Odyssey has bucket loads of interesting bugs in it, and more get found every day), but it’s a pretty neat set of glitches none the less, all of which can be tried out very easily. So, tell us what you think of it. Did you find any of these glitches interesting? Does the idea of stopping time or turning off collision detection make you want to replay Super Mario Odyssey for a bit more?